This scene is repeated for what seems like miles and miles. 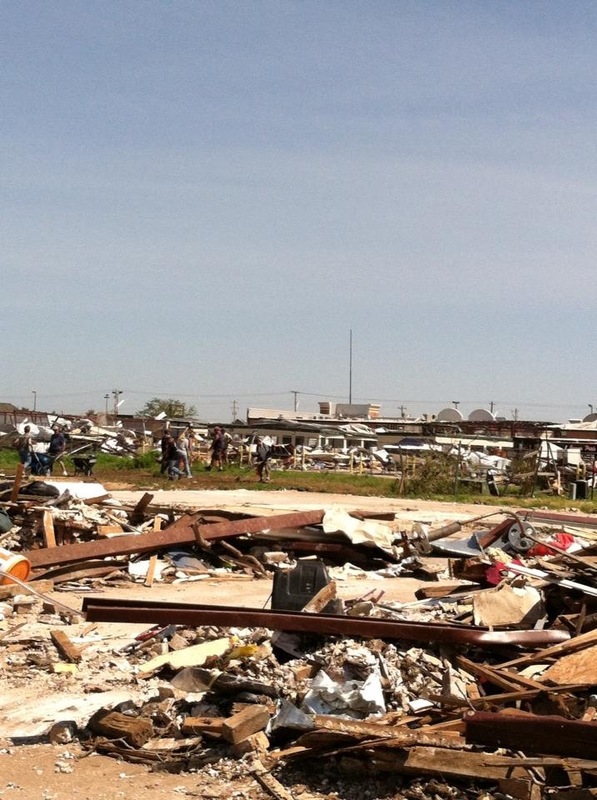 This past week I had an experience that took my breath away – I toured Moore, Oklahoma. The only reasonable conclusion I could make was that Mother Nature had swept up the good people of Moore’s lives and homes- put it in a massive blender only to scatter what remained randomly for miles and miles and miles. And for the record, this scene also has happened in other areas, such as Shawnee and Norman, Oklahoma. While in Oklahoma I met the MOST resilient and friendliest of people. One woman greeted me by saying, “We don’t have much left here, but still we will give you the shirt off our back”. And, I know they would! Also, BRAVO to the companies that I saw literally go above and beyond the call of duty. To the AAA Autoclub who sent their team for three straight weeks and provided comfort and care via their disaster trucks. To the makers of Lysol who were going place to place bringing disaster relief. WALMART (say what you will.. ) rolled in scores of their trucks to help out the good citizens of Oklahoma. Plus the numbers (too many to count) who came from far and wide to bring their own “muscle” to help people clear the debris and start to rebuild. This folks is what the heartland is all about.